Today, the art section of the Biennale is structured around the international exhibition in the Giardini’s Central Pavilion (or main exhibition hall), featuring the work of invited artists from across the globe and curated by that year’s Biennial director. In the Giardini’s national pavilions work from artists that have been invited to represent the participating countries is exhibited. In addition to the traditional permanent pavilions, several nations lease pavilions in the Venetian Arsenale. In fact, the Italian pavilion is housed at the Arsenale. At the 2013 Biennale, artist Tavares Strachan represented the Bahamas in their inaugural pavilion at the Arsenale. Each national pavilion is the property of the individual country, each country funds and maintains its pavilion differently. The British pavilion for example is managed by the British Council with funding provided by the British government, the 2013 Turkish pavilion was backed by Italian car company Fiat, while the cash-strapped Italian government used crowd-sourcing to bridge the gap caused by austerity cuts in funding its 2013 Biennale participation. All this to say, the business of who exhibits at “the world’s most prestigious exhibition” is not merely a matter of good art/bad art, it is also (if not more so) a matter of funding and political wrangling. Nonetheless, the story of the Venice Biennale, its increasing internationalism, and the export of the Biennale model to cities like São Paulo, Paris, Berlin, Havana, Johannesburg and eventual proliferation to over 200 Biennials across the globe is one narrative about where Biennials came from. The utopian promise of the Biennial was that while the museum (that Enlightenment institution par excellence) was the place for authoritative pronouncements, classifications, canonization, and preservation, the biennial’s raison d’etre was to provide a site for experimentation, contingency, testing, ambiguity, and inquiry. So, the museum more or less maintained the Crystal Palace’s will to order: feast your eyes on all the world’s diversity- its peoples, cultures, and their achievements. And classified them to suit the needs of what Donald Preziosi describes as “[European] modernity’s core problematic, namely, the orchestration of orderly, describable, and predictable relations between subjects and between subjects and objects.” On the other hand we have the Biennial with its fevered search for the new- an ever evolving, always bigger, better new- focused on tracking and encouraging curatorial and artistic experimentation. 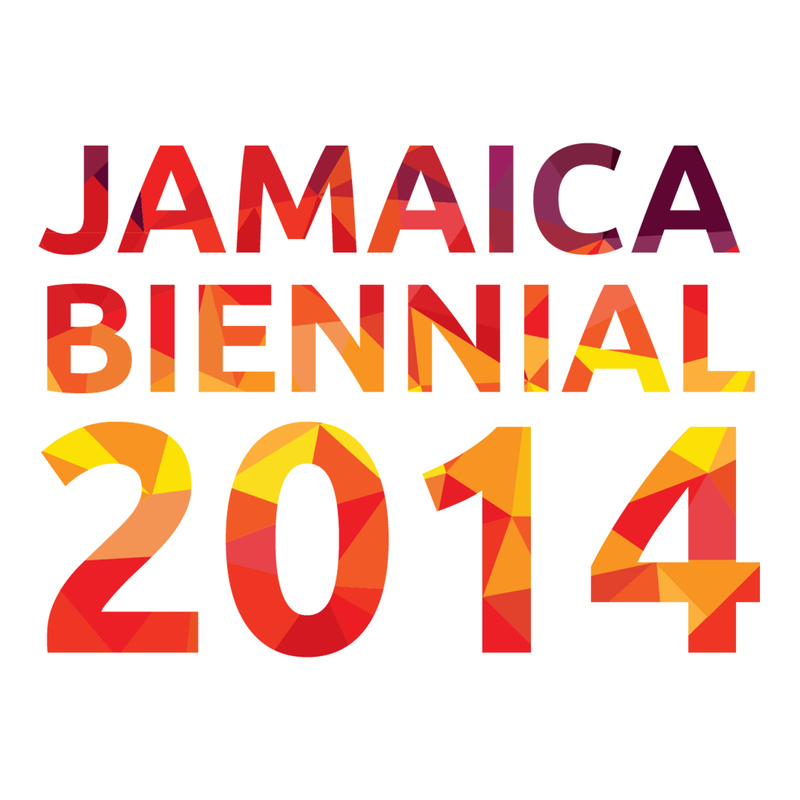 This feature of the Biennial format has gained it both supporters and detractors. 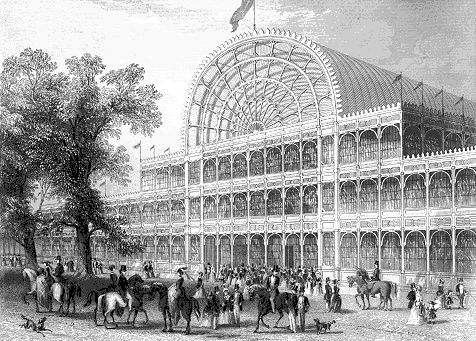 The Great Exhibition, as an “impartial instrument like the infinitesimal calculus” as Freud said half a century later of psychoanalysis, in fact crystallised and put into its proper place an Imperial fantasy-world or imaginary geography of all peoples and products, with the modern citizen-consumer… at and as its centre. The question arises; in biennials, these latter day Crystal Palaces, what is the “proper place” and who determines it? What new fantasy-worlds and imaginary geographies are being generated by the “impartial instrument” of our contemporary great exhibition? Who is at the centre? And most damningly, is the new fantasy all that different from the old imperial one? The biennial’s supporters on the other hand, hold fast to its flexible format, its open-ness to the new and un-tested, and its (fabled?) power to activate the transformative potential of art as a space for reflection, critique and resistance. American art critic Thomas McEvilley articulated the aspirations best when he wrote: “a sensitive exhibition defines a certain moment, embodying attitudes and, often, changes of attitude that reveal, if only by the anxieties they create, the direction in which culture is moving.” The result has been that the Biennial is an exhibitionary genre constantly seeking to reinvent itself, to keep up with, respond to (and maybe even generate) a contemporary. The Venetian Arsenale is a complex of former shipyards and armories clustered together in the city of Venice in northern Italy. The Arsenale became an official Venice Biennale venue in 1980, on the occasion of the 1st International Architecture Exhibition. In the following years, the venue hosted other Biennale Art Exhibitions for the Aperto section, devoted to the promotion of young artists and those from nations not represented in the permanent pavilions. Harris, Gareth. 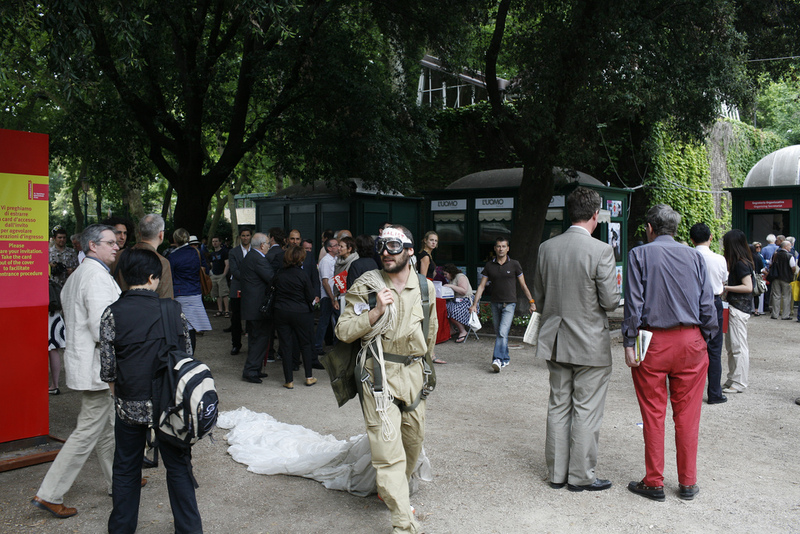 “Down but not out European countries invest in Venice Biennale pavilions.” The Art Newspaper. The Art Newspaper, 15 May 2013. Web. 13 Nov 2014. Filipovic, Elena, Marieke Van Hal and Solveig Øvstebø. “Biennialogy.” The Biennial Reader. Ed. Filipovic, Elena, Marieke Van Hal and Solveig Øvstebø. Bergen Kunsthall and Hatje Cantz Verlag, 2010. As the citation indicates, Marieke Van Hal was one of the writers and editors involved in The Biennial Reader project. It is quite likely that her MPhil work (which I have never read) informed the article cited above and her editing of The Biennial Reader, which I used extensively in my research for this article and directly cited five times within the actually body of this essay. Given all this, no doubt there are similarities between the MPhil research you cite and this piece. I can verify that neither is a “copy” of the other however, since I have never read the paper you reference, even if I have read several papers that quite likely emerged from/developed in tandem to it.